Lobo’s Dusty Ember has an excellent pedigree with Annie Lobo on the top (bloodline of Missouri Traveler E.) and Mona Lisa’s Dancing Ember on the bottom. She is brown papered. This nine-year-old sorrell mare has a blaze on face. She has a good disposition and, natural gait and correct conformation. 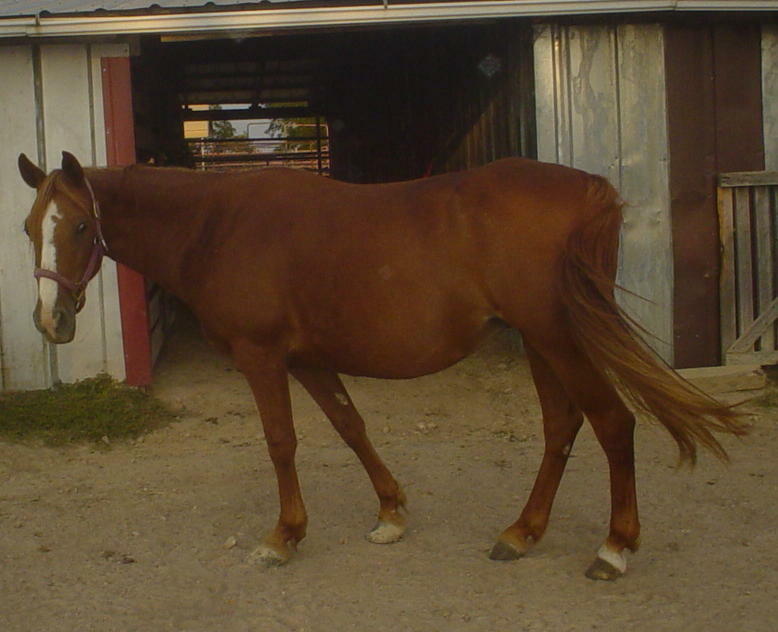 Lobo is in foal for April 2006. Check back for pictures.